Does Your ATV Need Its Tires Rotated? You generally get the tires on your car, truck, van or SUV rotated, but what about your all-terrain vehicle? You might have seen all kinds of advice on the subject and you’re feeling a little confused about what to do. Thankfully, there are some solid answers to the “flip or not to flip” question when it comes to the tires on your ATV. Non-directional versions have an equal tread pattern in both directions. Directional tires usually have arrows embossed on their sidewalls. When rotating directional models, make sure that you keep the tire on the same side of the vehicle. That means a right directional tire can only be installed on either the right front or the right rear wheel. Also, the arrows embossed on the sidewall should point forward. With rotating nondirectional tires, ideal pattern is a “cross” or X formation. As many ATV models are rear-wheel drive, you’ll usually shift the front tire to its opposite rear wheel and move the tire originally on the rear wheel directly to its front counterpart wheel. However, all the tires you’re swapping must be the same sizes to avoid sacrificing handling or safety. Also, make sure that your originals are fabricated for use on both front and rear positions. Rotation should promote a more even wear pattern and get more life out of your tires. 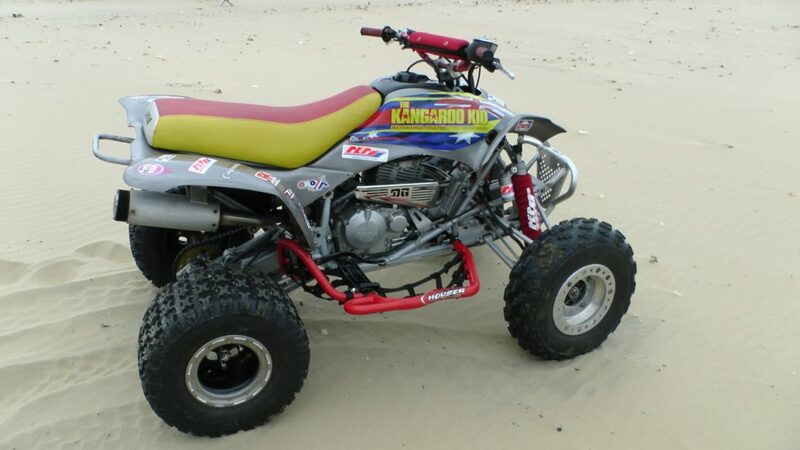 When it’s time for replacements, shop the selection of ATV tires for sale at BikeBandit.com. This online biking superstore carries millions of aftermarket and OEM ATV parts, tires, oil, fluid, high-tech upgrades and more.